I finished this book earlier than I had expected. Reasons are the interesting storyline and a weird relatability factor that comes into play every now and then. The internet is inundated with reviews of this book and they all essentially speak about the same thing, which is how great the book is. I share the sentiments to bits. Murakami is adept in conveying strong emotions in very simple language. I simply love his writing style. This book is a highly read book and rightly so. This is possibly recommended by every reader and the hype is real. I don’t wish to break the details of the story but it is amazing how Murakami makes me fall in love with Japan. 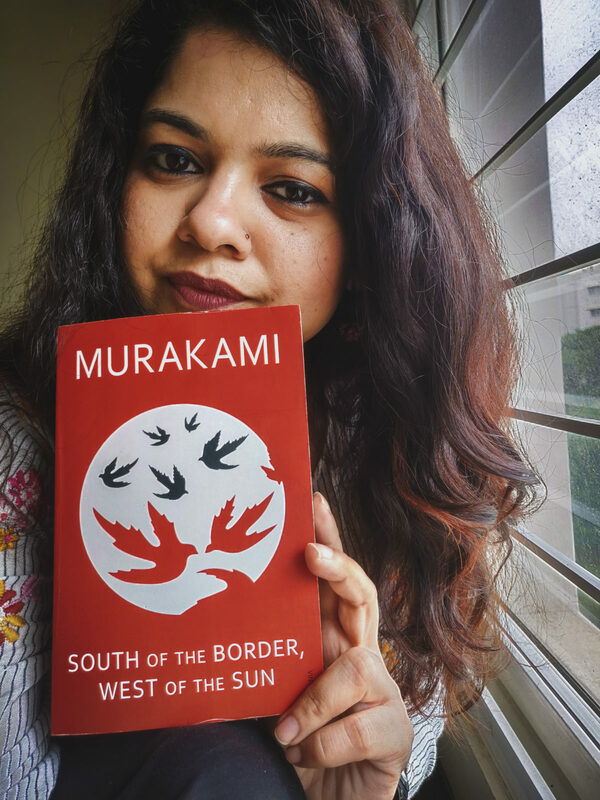 The cute little cafes, the train rides, the parks and the hard to pronounce names of the places, Murakami makes you want to visit Japan. Coming back to the story, it is gripping very much like Norwegian Wood. You would always be excited to know what happened next. There are so many points in the book where you would imagine all sorts of things that could possibly happen next. But in reality, something that you didn’t even fathom will happen. There is a surprise at every end. There are certain books that should be read without any reason. This one is definitely one of those. Just pick it up and read. Its popularity is totally justified.